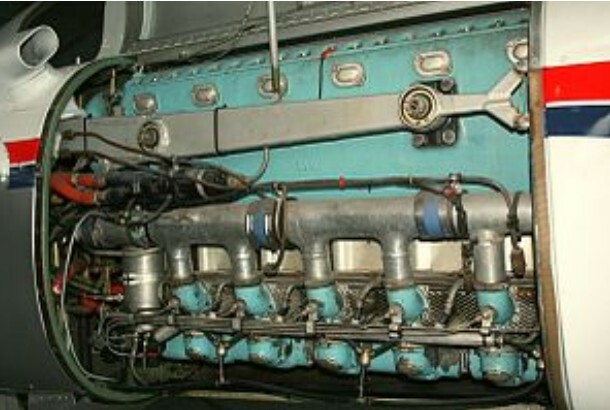 The Avia M 337 (originally designated the Walter M337) is an inverted six-cylinder air-cooled inline engine. It was developed as a six-cylinder derivative of the four-cylinder M 332 engine, going into production in 1960. An unsupercharged version of the M 337 is designated M 137. Production transferred to Avia in 1964, and to Letecke Opravny Malesice (LOM) in 1992.
modified oil system for unlimited inverted flying. "Snap" aerobatics permitted. Increased max running speed (3000 rpm) - increased power - 173 kW (235 hp). Unsupercharged version of M 337 - 134 kW (180 hp) take-off power. Aerobatics allowed.